Resource Pool Required The unique name of the pool. UTF-8 characters are accepted. Leading and trailing spaces are ignored. Description Optional A description of the pool. Parent ID Optional The identifier of the parent resource pool, if this pool is embedded. 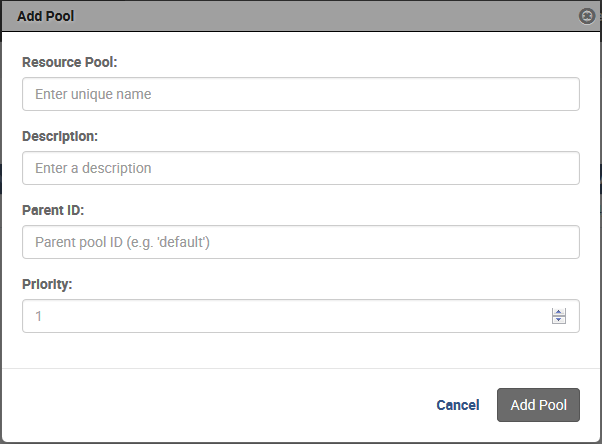 Priority Optional The priority of the pool relative to other pools, as a postive integer. This value is used for CPU priority.